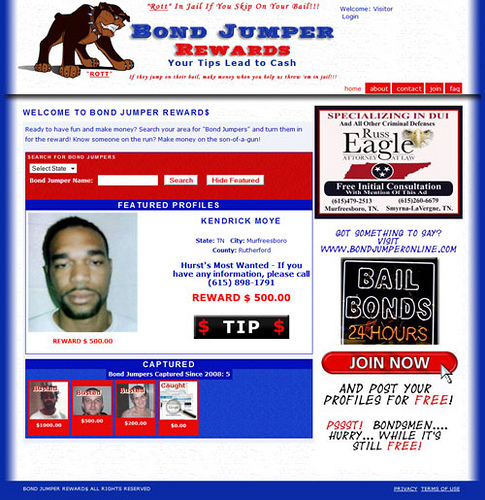 This may be the first-ever website devoted to the capture of wanted fugitives where an online TIP can lead to Cash! 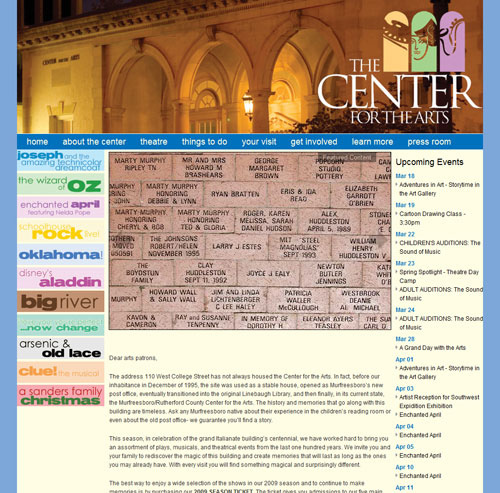 The Rutherford County Center for the Arts design concept was created by the talented staff. We just took their creation and made it work on the web! 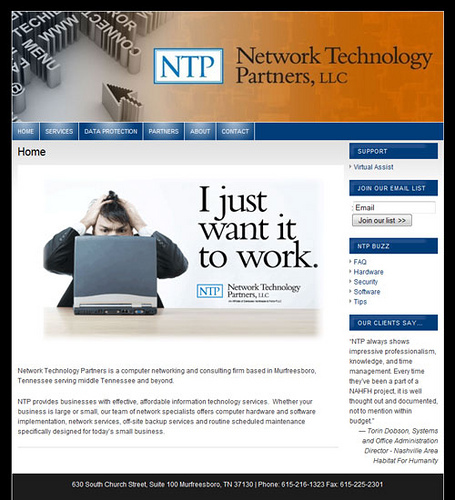 Network Technology Partners specialize in small business networking. If your company has more than a few computers, but is not yet large enough to support an IT staff, these are the folks who fill the gap. Quite frankly, these guys could have built their own website, so I’m very proud they called us. 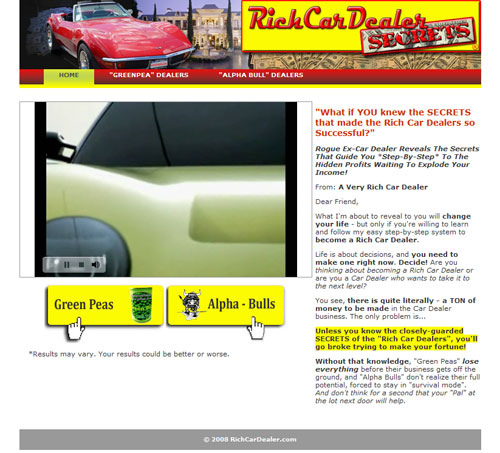 This website is the dream of an online entrepreneur with years of knowledge in the auto sales industry. This experience is for sale in the form of a downloadable book, packed full in “insider” secrets to running a wildly successful dealership. 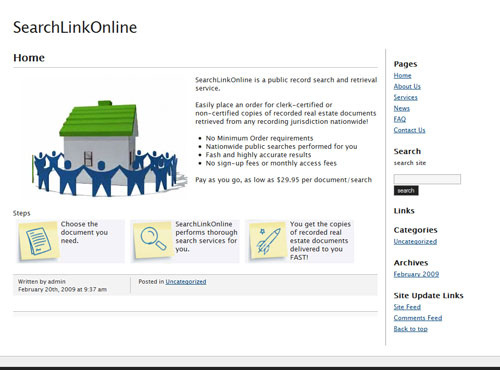 SearchLinkOnline is the place to get certified court documents for your real estate legal needs. If you’re new to Energy Work, you may be somewhat skeptical – or even afraid! That’s okay. 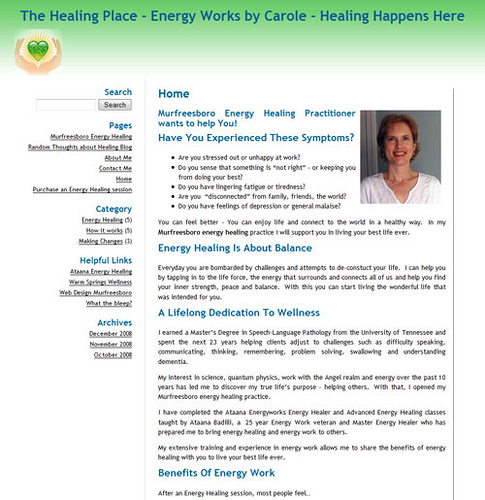 Take some time to learn more about what Energy Healing can do for you. Read my blog, watch the videos, or you can call me at 615-585-6389. Although the news coverage missed the main point (The HUGE MARKETING MUSCLE of repurposed Web Content in the form of a Podcast), at least they’re paying attention now. Which means you should be. Of course, if you’re one of our Web Promotion clients, you already know that we love to use video and repurpose it into podcasts and textual content for marketing purposes. If you’re not yet a client – you’re falling behind. Give us a call and we’ll get you back on track.